The origins of the Mackinlay name and family are complex and largely undocumented. ‘Mackinlay’ is not a clan in the proper sense, but rather a ‘sept’ or family-name, recognised by a number of clans. The Standing Council of Scottish Chiefs has recognized the a relationships between the family of Mackinlay and the clans of Buchanan, Farquharson, MacFarlane, and Clan Stewart of Appin. The confused and confusing story is told here. 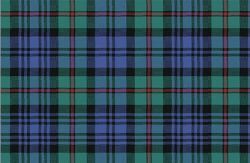 Our tartan is the symbol that can be worn by all who have the MacKinlay/McKinlay name. This tartan is included in the Scottish Register of Tartans, established by an act of the Scottish Parliament in 2008 and maintained by the National Records of Scotland. Read more about the tartan. The MacKinlay motto is ‘Not too much’, but its origin is obscure. A good motto for dieters! 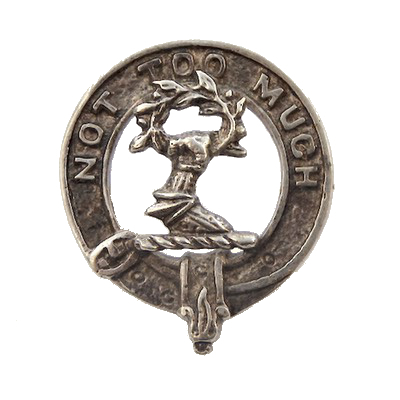 A clan badge is worn by members of a clan as a sign of allegiance to the Chief. However, ‘McKinlay’ is not a clan. 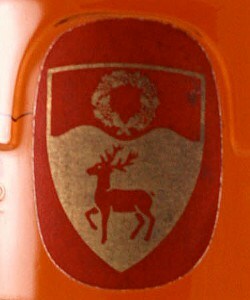 Some McKinlays wear the badge of a clan of which they are an acknowledged member. Strictly speaking, there’s no such thing as an ‘official’ McKinlay badge, but occasionally they are for sale—this one was advertised as over a hundred years old. My own family has numerous MacFarlanes in its ancestry and there are many McFarlans/MacFarlanes related to MacKinlays/McKinlays in the region around Rhu from whence we hail in Scotland. At present, the Clan Chiefship of the MacFarlanes is dormant and may be extinct. 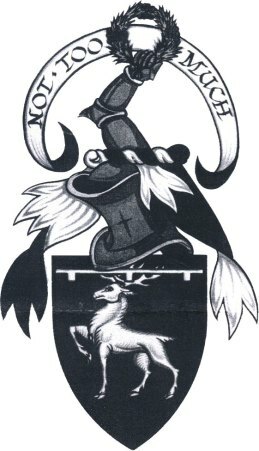 However, the Clan MacFarlane Society, Inc. is recognised by the Court of the Lord Lyon as representative of the clan, and was granted arms in 2000. Members of the Society may not use the arms, but are encouraged to wear the badge—the badge that would be worn by those loyal to a chief. Neither Clan Buchanan nor Clan Farquarson has a recognised chief, adherence to whom would give the right to wear his or her badge. 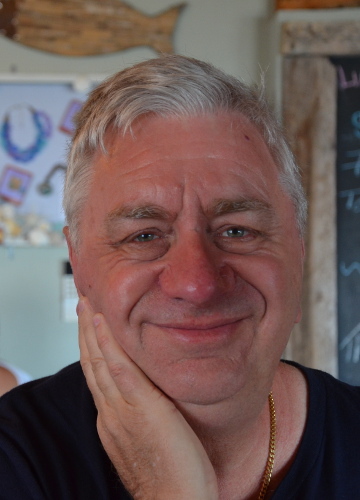 Andrew Francis Stewart holds the title of “Appin”. There are no Buchanans, Farquarsons or Stewarts in my lineage that I know of. 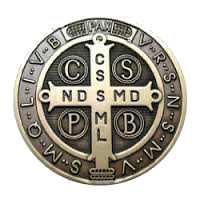 A ‘crest’ is, of course, part of a grant of amorial bearings, which are personal to the holder. There is no such thing as a ‘family crest’. Here are two example of arms that have been held by individual MacKinlays. They are quite similar: those one on the right has been ‘differenced’ from those of his ancestor on the left. 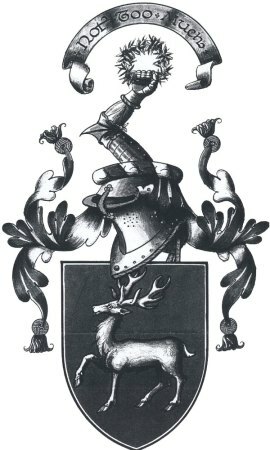 The arms (shown above) include symbols commonly used with the MacKinlay/McKinlay name: a “stag trippant”, and a crest of a “dexter hand and arm in armour embowed the hand holding a wreath of heather all proper”. Thus MacKinlay’s Scotch has a stag and a wreath of heather on its label.